Take control of the customer experience with the Episerver Digital Commerce platform. 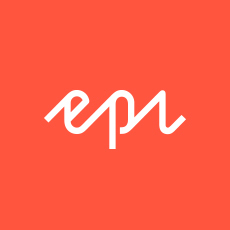 Work for Episerver Digital Commerce? "Episerver, a complete offering for digital transformation"
Episerver is a complete offering, and their solution enables all aspects of digital transformation for a client. I appreciate the versatility in the product suite, which makes it appropriate for most business segments. The platform provides solutions for marketing automation, campaign management, digital commerce and content management just to mention a few. The fact that you can choose whether you want to run solutions in the cloud or on-premise makes the offering even more compelling. Episerver is a huge platform, and it is growing at a very fast pace, as a client or a vendor it is a challenge to keep up with new functionality or acquisitions to the product portfolio. Make sure you work through an experienced Agency, have a look at the partner section at www.episerver.com and ask Episerver for how long they have been implementing Episerver and how many certified developers they have. Do not look at your Episerver implementation as a pure technology project, make sure that your vendor can provide strategy, UX/design and development. The platform is the perfect match for any company wanting to be successful online. Focus is mainly on those who have a strategic view on digital and want to follow up and increase sales, lead generation, brand awareness. I think companies with a global footprint is an especially good match as the platform works very well in multiple markets. "Episerver Commerce after 1.5 years"
Good support for programming C# ASP.NET and free choice of frontend frameworks that can be used. Strong and large community. Good support both from Episerver and other developers on forum. Good integration with Episerver CMS, and increasing support of new UI for Commerce Catalog. Pricing. IMHO Commerce UI is a "dinosaur with a kick". Old ASP.NET forms application hardly fit in year 2017. Some of the old api's can sometimes be confusing. Read "Pro Episerver Commerce" book. Avoid using old api's and approaches as much as possible. Use new UI for catalog management in Episerver CMS as much as possible. Read blog posts and formus on world.episerver.com frequently. It is a great and stable platform for implementing wide spectrum of e-commerce applications. Long time on the market. Incremental improvements. I wouldn't trade it for any other similar platform at time being. "Always finding new ways to use Episerver "
Ease of use and scalability. We add a tremendous amount of content to our site because it is much faster than our previous CMS. Users / Page Views / Time on Site continue to increase each year. Personalization is a powerful feature and we are just starting to scratch the surface of Episerver's capabilities. We do not dislike anything about Episerver. When there is a problem, Episerver or our implementer are there to solve it. Explore the personalization capabilities with Episerver. We have a lot of fun creating and tracking our content and how it is performing with each group. eCommerce, multi-language/multi-country. Integration with Marketo has been crucial to our marketing strategy in 2016. "Episerver, A single content and commerce platform for the upper mid market"
Out of the box, Episerver offers features that other platforms don't offer by default such as unlimited CMS editors, plug and play e-commerce, content targeting, on-page editing, unification of content and commerce, and more. The lack of a multi-tier content staging feature which controls deployment for content, assets, and code. This would be a really great feature to have. Episerver is not like other CMS platforms which I have experienced and I know a lot of them. They have been extremely thoughtful about how the system interacts with the editors and how that impacts the end users. If you haven't seen a demo of this software, I'd highly recommend it.. Content editing and speed to market was a big problem for us. Now with Episerver, our marketing team can see the what their content will look like realtime and also what it will look under different circumstances e.g. mobile, personas, etc. This has allow us to create a vast amount of additional content in substantially less time. "Really great and stable product for both editors and developers!" I really like that it's a stable CMS that is easy to use for editors and easy and fun to develop for developers. It's very easy to customize anything you would like for a new sites and you can use the latest frameworks and technologies like Azure, .NET MVC etc which increase productivity. I've been developing EPiServer sites for 10 years+ and also tried a lot of other CMSs and I can honestly say that this is the best. Other CMSs maybe have a few more functions on the paper but does a crappy job on the core CMS parts. EPiServer CMS has focused on what you actually need as developer and editor and refined that to near perfection. It's easy to build a pretty nice site with EPiServer even for a junior developer and a pretty unskilled editor. But it's also possible to create a large enterprise site hosted in the cloud for 10 coutries. I like it! Community part. It wasn't EPiServer who built it to their defence. Skip this addon. Really great enterprise search solution with EPiServer Find btw. EPiServer is a great tool whether you use it to build a fancy site to sell porsches like www.porsche.se or build a government site like www.regeringen.se. It's also a great tool for exposting internal systems like customer portals since it is easy to integrate vs basically any system using standard methods in .NET. The EPiServer Find enterprise search solution makes it easy to create a user friendly search solution for any type of information from any system. The ease of managing different locales all from the same platform and the fact we can use Episerver for both Commerce and CMS making easier track user journeys and personalise them. It's catching up with more robust ecommerce solutions, but you can't expect the same level of integrations that other platforms have. It enabled us to sell online to a variety of markets and to offer a localised experience. "A solid CMS with great direction and momentum"
Episerver provides a great framework to create a CMS that works the way your business works, without getting the the way. Developers can create the functionality your business needs without fighting against the CMS, and actually utilizing all the features that it provides. The only true .NET MVC enterprise platform. Some of way the application works with the database limits options for deploying new code. Efficiency and re-usability are the two largest drivers behind our implementation. "Easy for the average person to understand. " The tool is pretty easy to use. I do not have a lot of HTML CSS skills and this makes it easy for me to manage the tool. The tool is really slow. even though i can update landing pages.. it take a bit longer than i would like. the page has to reload every time to drag something to the page. creating a personalized site. helping show people what they are looking for. "Episerver is a great platform for eCommerce." Versatility of the software. Currently I am able to manage eCommerce, CMS processes, A/B website testing, and user performance. Can be non-intuitive regarding user-friendliness. eCommerce cart check out process for national and international transactions. "Great commerce platform for business users!" We love the that Episerver allows business users to easily manage content and that it integrates fairly easily with other systems. We see some opportunities to improve Cloud-based offering. It's a good solid platform and can easily be used to support both B2B and B2C initiatives. We have improved speed to market and customer experience, resulting in increased AOV. "Episerver as a platform for E-commerce"
One single platform for content management, PIM, & search engine. Too cumbersome when it comes to coding, customizing & integrating. Use it out of the box, & don't customize it. Consolidating too many tools & technologies under one simple platform -and host it too (IaaS). Simple to use and cost effective. Easy integration with many leading providers. That we are still on version 6.2. Can't wait to get live on v9.5! Global CMS live in 44 countries using a shared code Brain,Delonghi and Kenwood websites! "Excellent product and very scalable"
Documentation is sometimes lacking. If there are internal problems with the CMS code EPiServer's support is in Sweden so you have to wait a day to get a response. The support from the team to encourage the optimal use of the platform. It's not clear that the partners are fully trained on capabilities and we have a lot of "bespoke" rather than out the box solutions. We are delivering the marketing assets to represent our brand rather than simply transactional. It is helping engage consumers. "Episerver commerce please build/release a new cart and ordersystem =)"
performance, i have learned not to fully rely on episervers own caching. Learning about Episerver Digital Commerce? * We monitor all Episerver Digital Commerce reviews to prevent fraudulent reviews and keep review quality high. We do not post reviews by company employees or direct competitors. Validated reviews require the user to submit a screenshot of the product containing their user ID, in order to verify a user is an actual user of the product.